Buying a home is one of the biggest decisions a person will make in their lifetime. At Pacific Shores Financial, we understand that and do everything we can to make the process as painless as possible. Whether you are a first time home buyer or a pro, we are committed to providing you with a positive experience when purchasing or refinancing your home. About VA Loans Since the early 1940’s, the VA (Veteran Administration) has guaranteed more than 18 million home loans worth over $900 billion. The VA services veterans, active duty service members, and survivors of veterans every year with hundreds of thousands of government backed loans. About 90% of the VA loans closed in 2008 required no down payment. 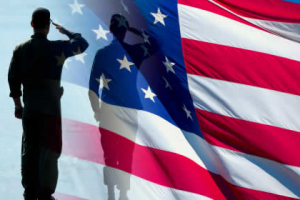 Pacific Shores Financial is proud to offer VA Loans in Temecula and throughout Southern California for qualifying veterans and survivors of veterans. This program offers these individuals with qualifying income and credit scores to purchase an owner occupied home with no money down as long as the sale price does not exceed the appraised value of the home. Some closing costs may be needed as earnest money or can be paid by the seller with effective negotiations. 2011 VA LOAN LIMITS AM I ELIGIBLE FOR A VA LOAN?